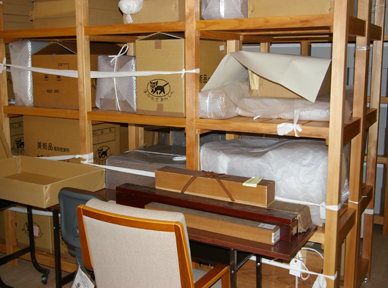 The entire Fukuoka City Archive collection of acquired, donated and deposited material excluding literary material is preserved, after being fumigated, in the Archival Preservation Vault. Made entirely from wood recommended for preservation, the Archival Preservation Vault is temperature and humidity controlled. 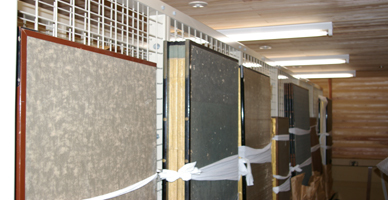 Literary material of the Fukuoka City Archive is preserved at the Fukuoka Museum of Literature. Temperature and humidity settings of the Archival Preservation Vault is set by the Control Center.